Because of his extensive background and experience in dealing directly with the CRA on a daily basis, Dan brings a unique perspective as well as a wealth of information to share with audiences on the subject of taxes, tax audits, and strategic, tax and financial management. 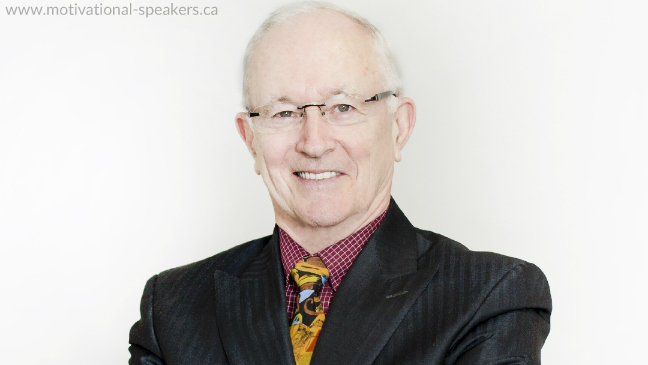 With a strong background in business management, taxes, sales and marketing he has held a number of senior positions in various Canadian and mult-national companies and has traveled extensively around the globe as an international business consultant. Dan has been featured as a radio and TV 'on-air expert & commentator' on numerous programs, such as the Dini Petty Show, CFTO Eye On Toronto, Channel 11 New Attitudes, CBC Radio Noon, CTV Homestyles, CBC 5:30 Live, Cable 10 Time For Business, CFRB the John Stoll Show, the Allen Meyer Show, CIUT, FAN 1430, and was also the co-producer and host of the TV show "Time For Business", a talk show about business issues.. He has also been featured in numerous newspapers and publications across the country. The average taxpayer is going to file less than 80 tax returns in their entire life, yet they will spend their entire life worrying about taxes. So the bottom line is that if you don’t want to be stressed out over taxes, then think about how you can run your business in alignment with the intent and spirit of the law. The big question to be able to answer is; "Why be a tax cheater, when you can dramatically reduce your taxes legally?" In order to reduce your taxes, you need to learn the process of legal tax reduction and strategic avoidance strategies. The more sophisticated the strategies the more vulnerable they are to attacks and the more costly to defend. Simplicity rules when it comes to the world of accounting. As far as tax loopholes, the only ones left that are the ones the tax department uses. So in order to lead a tax stress free life, understand that there is a way which does not allow for the belief that one does not have the time to keep good records. Paying the least amount of taxes by good business planning is your ethical, moral and legal responsibility. Having said that one must understand that by doing boogie woogie accounting of yesteryear is just an invitation to an expensive and stressful fight with CRA.